Welcome to the website of St. Peter Church! We hope you will also find our opened doors greeting you in person, at 125 E. Ridgewood Drive in Seven Hills, Ohio. We are located just east of the intersection of Broadview Road and Ridgewood Drive. 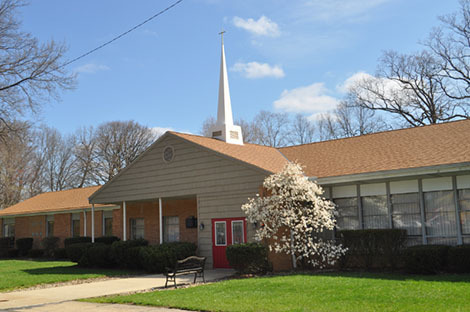 St. Peter United Church of Christ is a small Protestant church serving the neighborhoods of Parma and Seven Hills (just outside of Cleveland, Ohio). Through our various service projects and the United Church of Christ, St. Peter also reaches far beyond its doors in ministry. In 2008, we marked the 150th year since St. Peter was founded as a German Evangelical Church by a group of German settlers in the southern part of Cleveland. One hundred years later, the church constructed a new building on the Seven Hills side of the property. And as the Evangelical and Reformed churches were joining with the Congregational and Christian churches, St. Peter became a part of the United Church of Christ.